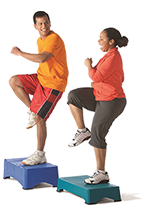 Get access to the Nashua Y, Merrimack Y and Westwood Park Y branches in New Hampshire, hundreds of free classes, and great discounts. Through its 125 years, the Y has helped individuals to improve their health and well-being while building a strong sense of community. 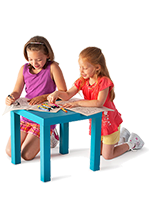 The Y provides family-centered, value-focused programs and activities for its members and the surrounding communities. As a member, we hope your relationship with us is as meaningful to you and your family as it is to us. The Y is for everyone. Our programs, services and initiatives enable kids to realize their potential, prepare teens for college, offer ways for families to have fun together, empower people to be healthier in spirit, mind and body; prepare people for employment, welcome and embrace newcomers and help foster a nationwide service ethic. And that’s just the beginning. 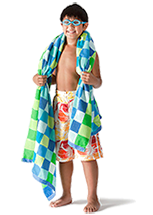 Three Convenient Locations: As a member of the YMCA of Greater Nashua, you have access to 3 full service locations; Nashua YMCA, Merrimack YMCA and the Westwood Park YMCA, as well as a reciprocal membership with all New England area YMCAs. Membership Handbook: This handbook is designed to provide an overview of our Y and its membership policies. If you have any additional question our caring and trained staff will assist and support you in achieving your health and well-being goals. Financial Assistance: If you are living on a fixed or limited income, you may be eligible for financial assistance for a Y membership and program fees through our Y CARES financial assistance program. Assistance is determined on level of income, family size and circumstances. Completion of a Y CARES application and proof of financial need is required as outlined in the application. Information provided is kept confidential. Hard copies of the Y CARES applications are also available at the Y Welcome Centers. 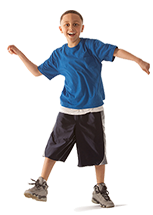 At the Y, are focus is on youth development, healthy living, and social responsibility. We are dedicated to ensuring that our Y’s are open and welcoming to all who desire to be a member. With Nationwide Membership, our members can access YMCA facilities across the United States and Puerto Rico at no extra charge. 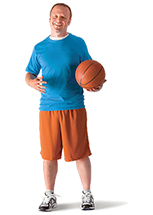 As a Y Member you will be able to use your Y membership card at any participating Y across the country! It will enable you to reach your health and wellness goals wherever you live, work or travel and connect with the larger Y community in meaningful ways. This benefit is available for all full-facility Y members. As a participant in Nationwide Membership – you must use your home Y at least 50% of the time. *Family and Couple Memberships: Adults reside at the same address and share household expenses. NOTE: If you are living on a fixed or limited income, you may be eligible for financial assistance for a Y membership and program fees through our Y CARES financial assistance program. Information on credits, refunds and transfers can be found here. All you need is a debit/credit card. 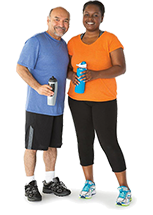 If you are living on a fixed or limited income, you may be eligible for financial assistance for a Y membership and program fees through our Y CARES financial assistance program. Assistance is determined on level of income, family size and circumstances. Limited funds have been made available by the generous contributions of members and friends in the annual campaign. Completion of a Y CARES application and proof of financial need is required as outlined in the application. Information provided is kept confidential. Y CARES applications are available at the Y Welcome Centers or access one here: Y CARES Financial Assistance Application! 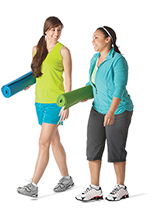 A trained YMCA staff member or volunteer will be happy to answer your questions regarding membership and the types of programs and offerings that would best help you reach your goals. Contact our Member Services Desk in person or with a phone call.